The original maquette for this piece, 4′ in height, was created for the Department of the Interior, office of the Secretary of the Secretary of Interior in Washington D.C. 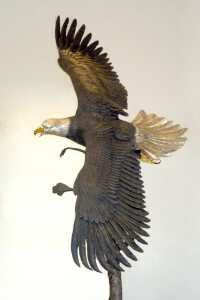 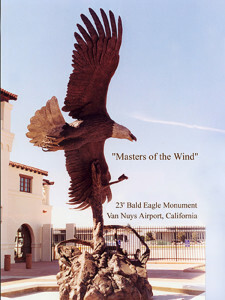 The monument of the soaring eagle, with its 16′ wingspan, was created for Petersen Aviation at Van Nuys Airport in Van Nuys, California. 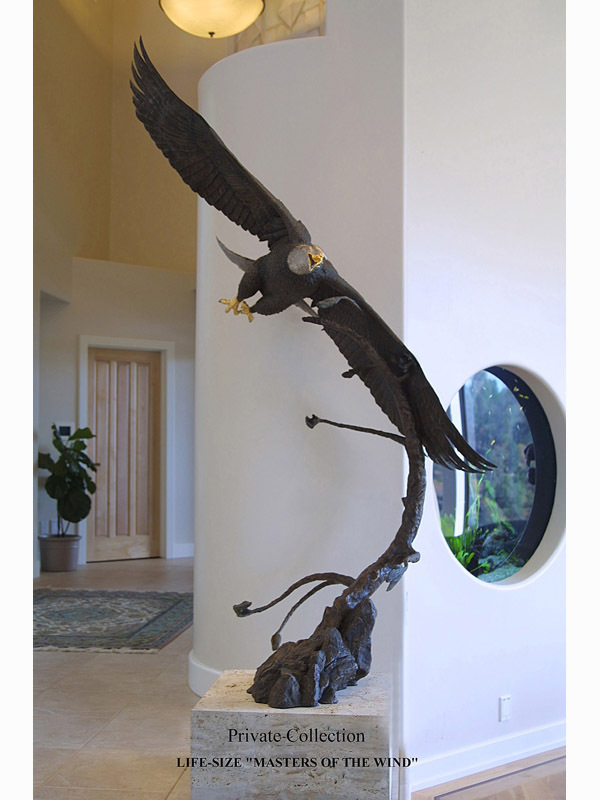 Also available in life-size, beautiful indoors or out.